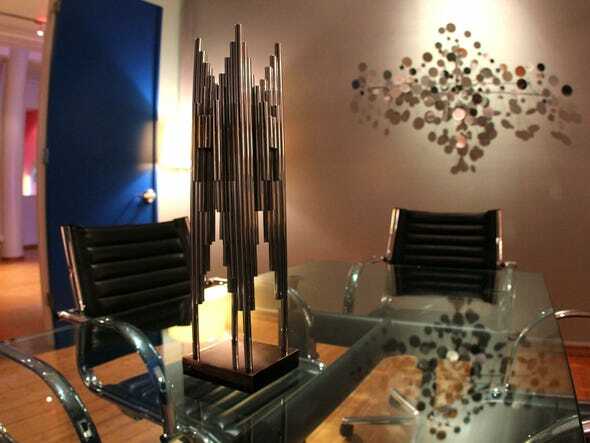 The Coolest Offices In New York City | Celebrity Houses and Mansions, Rich People Mansions & African Mansions for Sale !!!! 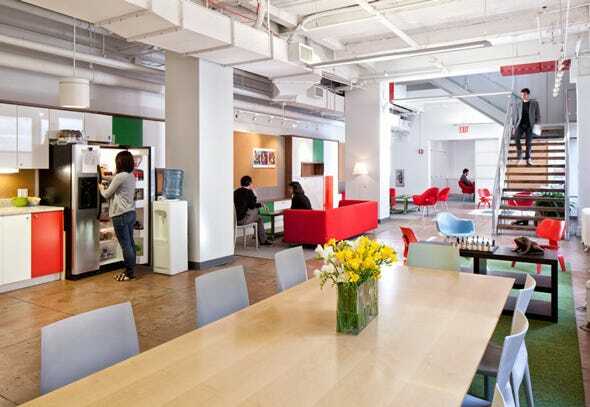 Workplaces don't have to be barren, soul-crushing corporate hell-holes. If companies decide to spend the time and money to design and build offices like these, they can truly shape how people think and perform. But it's not as easy as putting some art on the wall and calling it a day. 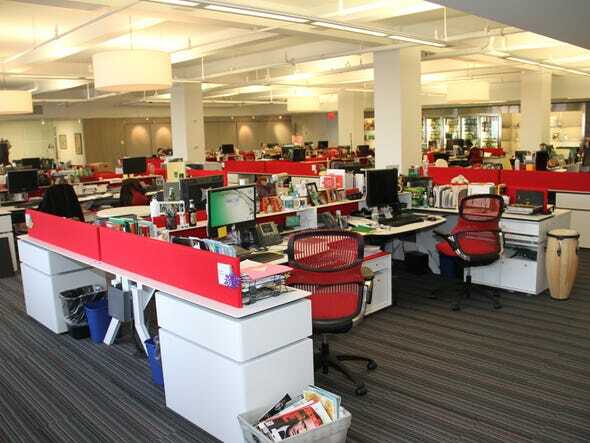 Everything from the office's view, size, color, furniture and how the space is organized impact the workers that spend most of their week inside. 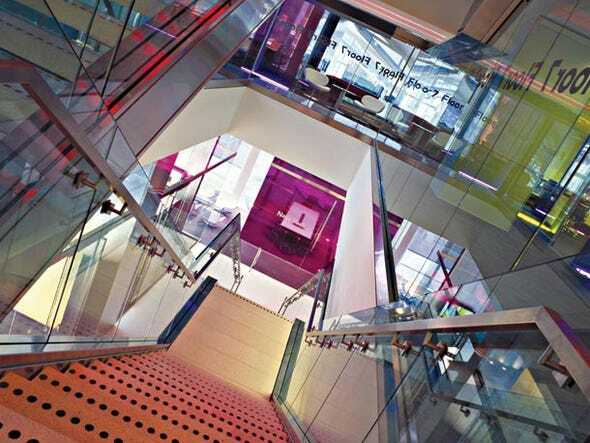 BLOOMBERG: Completed in 2005, it holds glass-walled offices, fish tanks, and wide-open TV studios. BLOOMBERG: The goal was, "Let's bring 'em in and freak 'em out," said CEO Lex Fenwick. "You're supposed to come out of the elevator and be greeted by noise and bustle. It's New York! It's a media organization!" 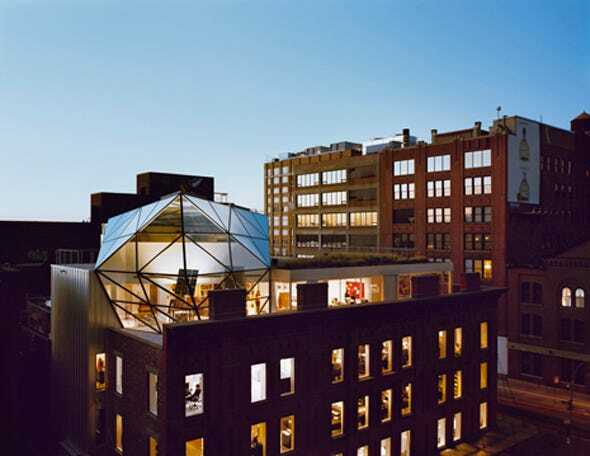 DIANE VON FURSTENBERG: the office houses DVF’s flagship store, a 5,000-square-foot showroom and event space, offices and studios for a 120 people, an executive suite, and a penthouse apartment. 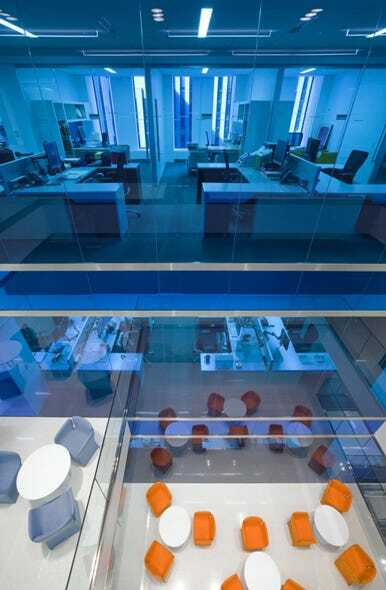 IAC: This Internet company's office in Chelsea was crafted with a flexible furniture system that adjusts to the fluctuating building shell. 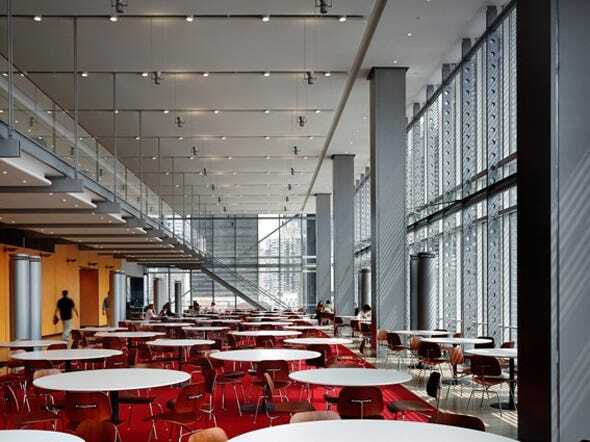 IAC: Blasts of color punctuate the spaces, which graduate from opaque to clear and then to opaque again. 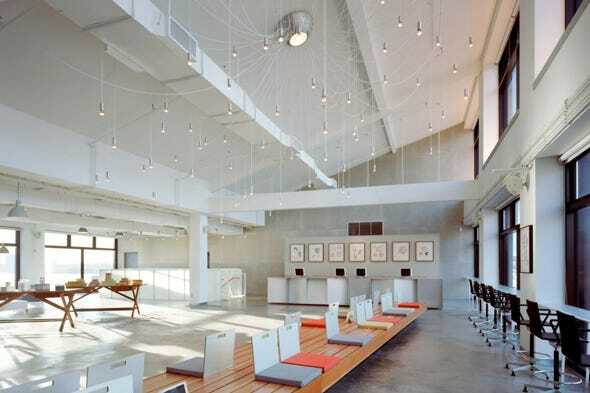 BUMBLE AND BUMBLE: The building accommodates a salon, the corporate headquarters, and a training facility. 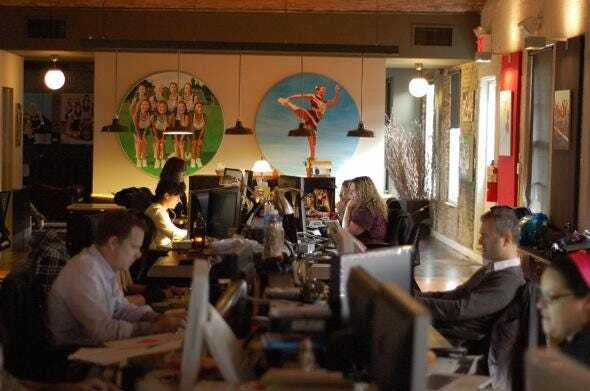 GAWKER: "We wanted a space that felt a bit like a library," said Gawker's founder, Nick Denton. 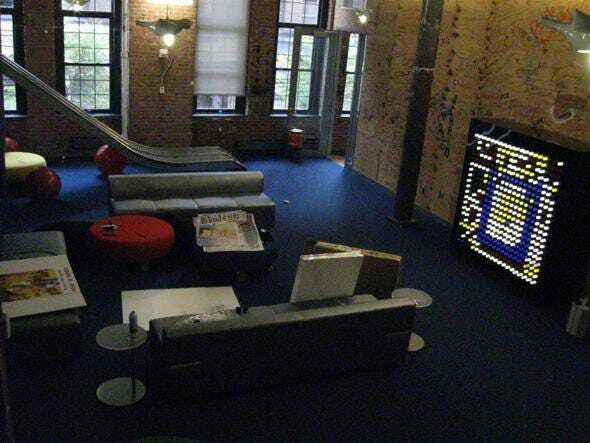 GOOGLE: Located over Chelsea Market, the office has slides (like you see below), scooters, and legos. 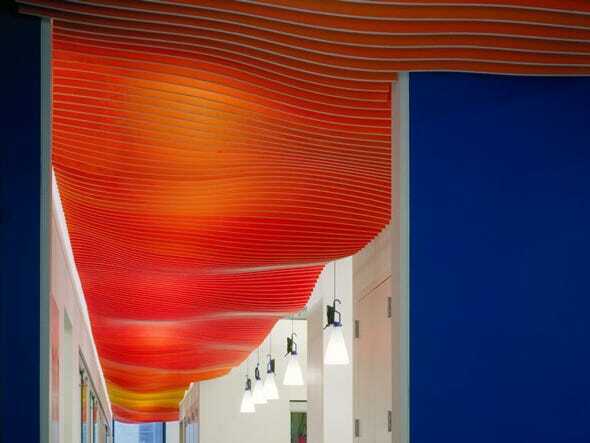 CREATIVE TIME: This public arts nonprofit has reflective materials, translucent orange sliding walls, and ‘Cones of Silence’ - a combination of light fixture and acoustic felt - that provide a sense of enclosure. TBWA\CHIAT\DAY: Rising above this atrium is a stainless steel ship-like wall, screening the open work areas, with porthole openings. 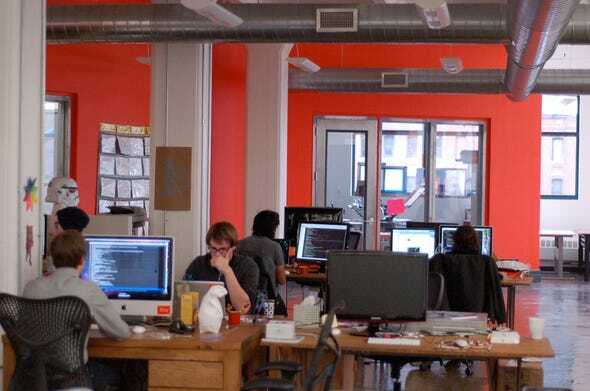 ETSY: Located in DUMBO, Brooklyn, Estsy's office has meeting room named after bands and food and supply shelves stocked with paint. 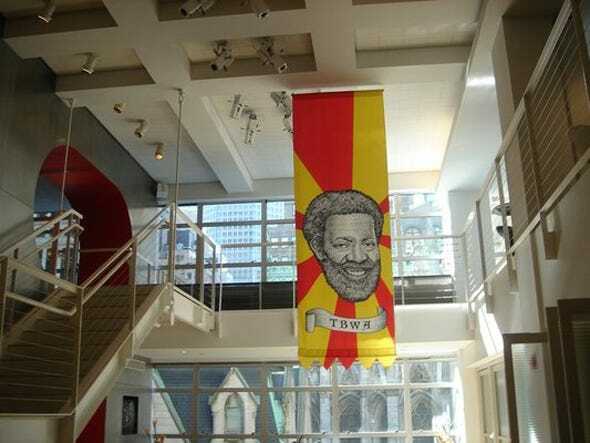 JWT: One of the oldest and largest advertising agencies in the world, JWT's office has five floors and is designed to accommodate over 900 employees. 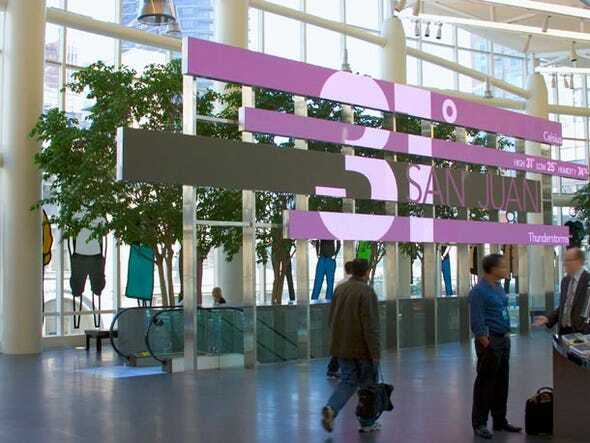 JWT: The design was based on a tree with branches as a symbol of storytelling. A new staircase, representing the trunk, penetrates opened up double-height floors. 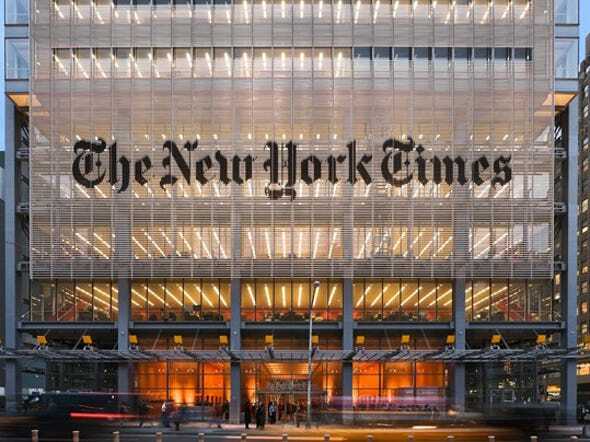 THE NEW YORK TIMES: The design has a transparent glass tower screened by planes of glazed terracotta tubes that appear to float above the street. 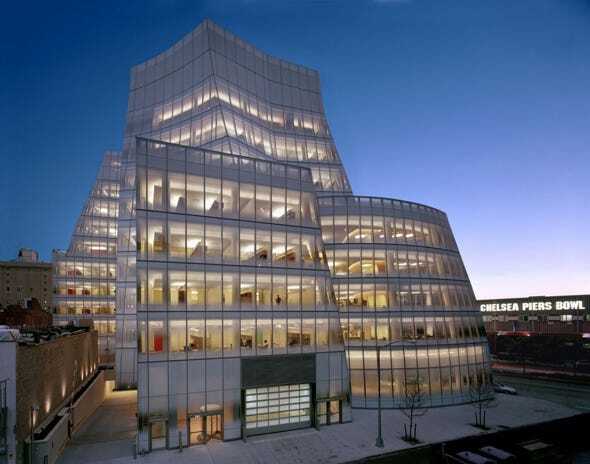 THE NEW YORK TIMES: The building has an advanced sunshading system, floor-to-ceiling glass, increased ceiling heights, and displaced ventilation. STRAWBERRY FROG: This advertising agency on Madison Square Park uses red and green colors as highlights all throughout. WONDERFACTORY: Located in Chelsea, this strong visual concept was created through the use of color and applies graphics, retaining its loft-like qualities. 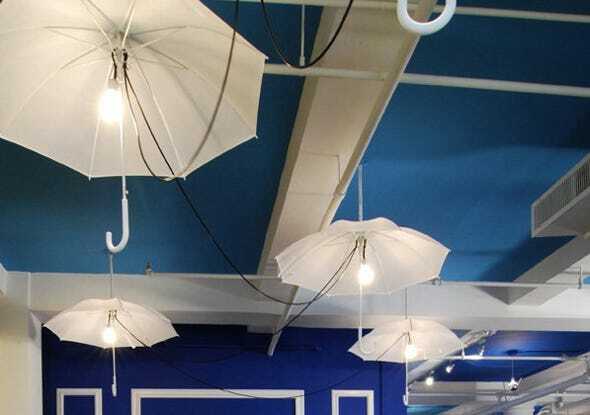 ACUMEN FUND: The back-lit ceiling "canopy" organizes space in this non-profit's office. 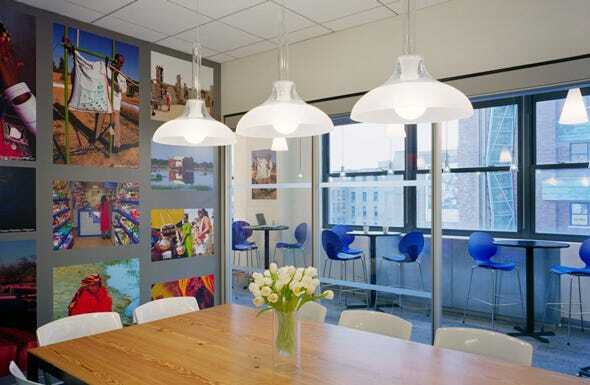 ACUMEN FUND: Colored curtains and deep blue chairs and walls set a contrast against white cubicles and cabinets. 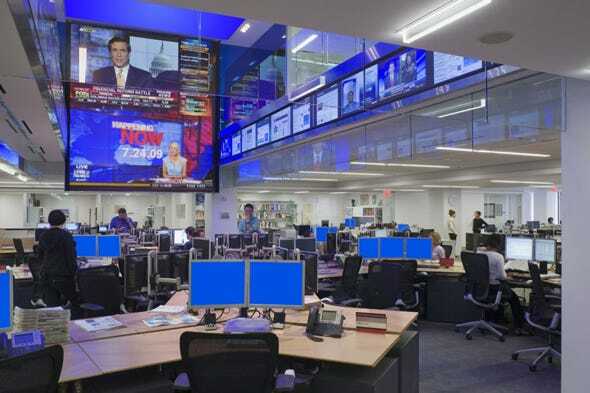 DOW JONES: To facilitate the rapid exchange of information and ideas Within the media hub, a giant LCD display surrounded by smaller LCD screens line the perimeter of the space. 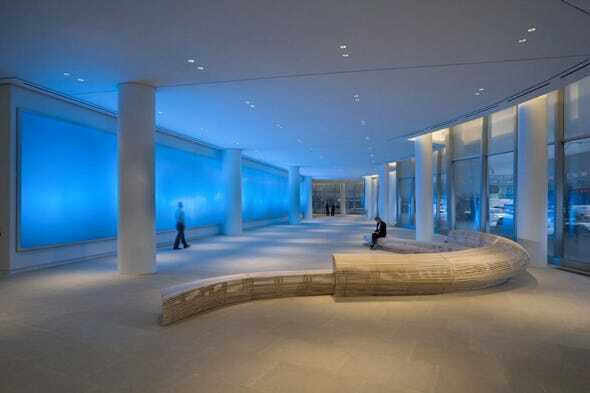 DOW JONES: The central reception area serves as a gathering point, and links to the caf socializing areas, the connecting staircase, and overlooks the media hub located one floor below. THE MORRIS + KING COMPANY: This chic Fifth Avenue space is packed full of art and inspires creativity. Do Celebrities Really Cook in These Kitchens?